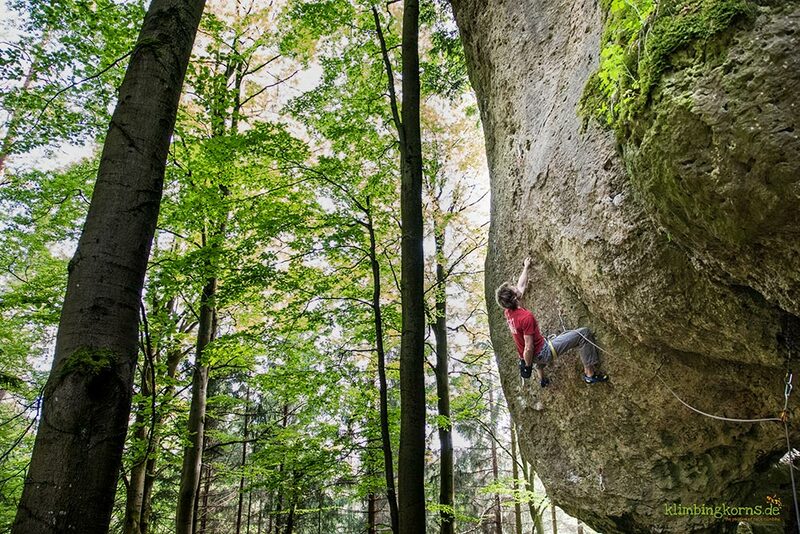 Germany has a small climbing paradise in the middle of Bavaria. 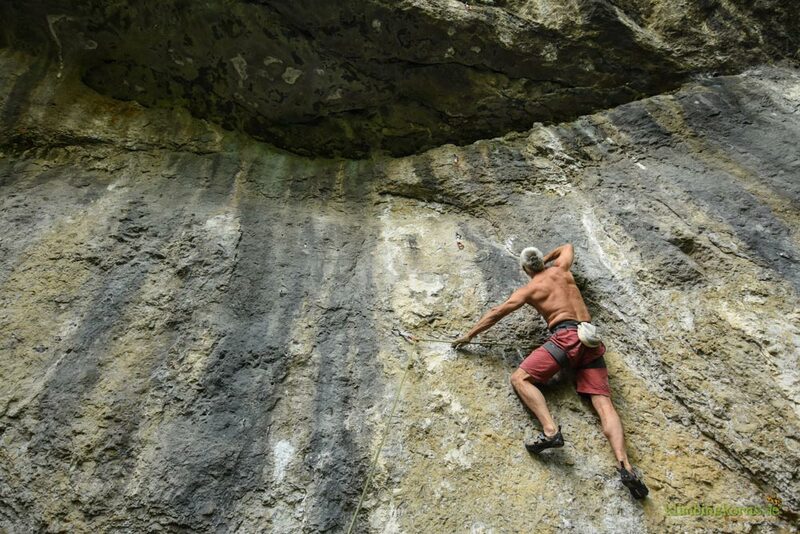 The Fränkische Schweiz aka Frankenjura has an enormous amount of bolted Jura rocks with grades ranging from 3 to 9a. 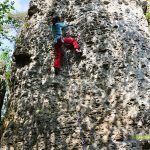 Finger pockets, powerful and dynamic climbs, shady and short overhangs are typical characteristics of the walls here. Yet, a few long king lines, crimps, vertical and technical routes exists too. 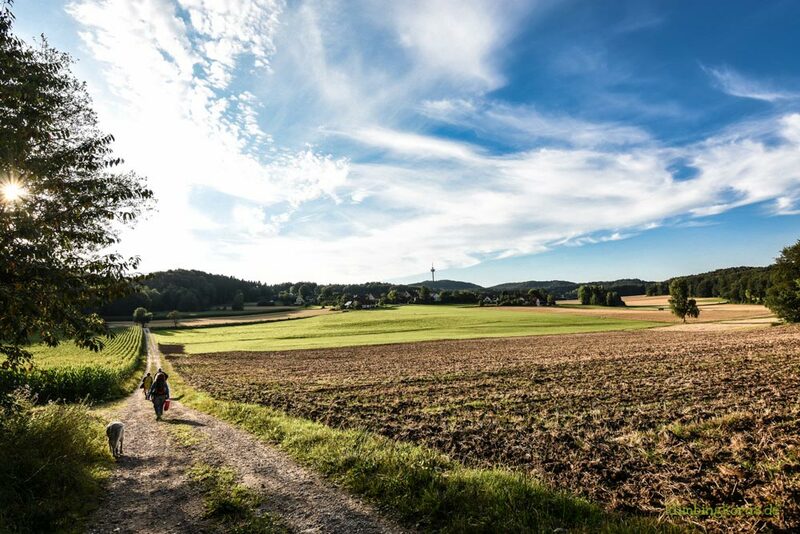 More than 12.000 routes, in >300 sectors , scattered all over the region of the Fränkische Schweiz. No surprise if you get lost. Where do you start, whats good, whats bad? It’s a maze, and you can climb for years without coming back to the same crag. So what is the best way to find your way through the maze? 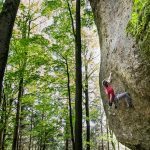 3 Where to climb in Frankenjura? Also know with whom you’ll be climbing with. 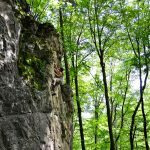 If your climbing partner climbs at the same level, Perfect! If you’re climbing in a group of different levels, making everyone happy could become a challenge. In such cases, start off your climbs at an easier sector and then change off later to another sector with other grades. Some valleys have an array of sectors within walking distances,. I appreciate the general approach time here by 2 to 10 mins so much. Great, when you have little time. 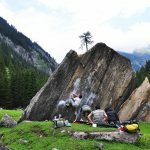 In Germany, climbing grades are listed in the UIAA form. What do you do on crowded long weekends or school holidays? Open your books again – Non mainstream crags doesn’t mean they ain’t good. Perhaps the routes are less dense, sometimes with just one or two, or they could be further to walk. But they are far quieter. Classics and those rated with 4-5 stars or near campsites are usually favourites of many. Logical, right? 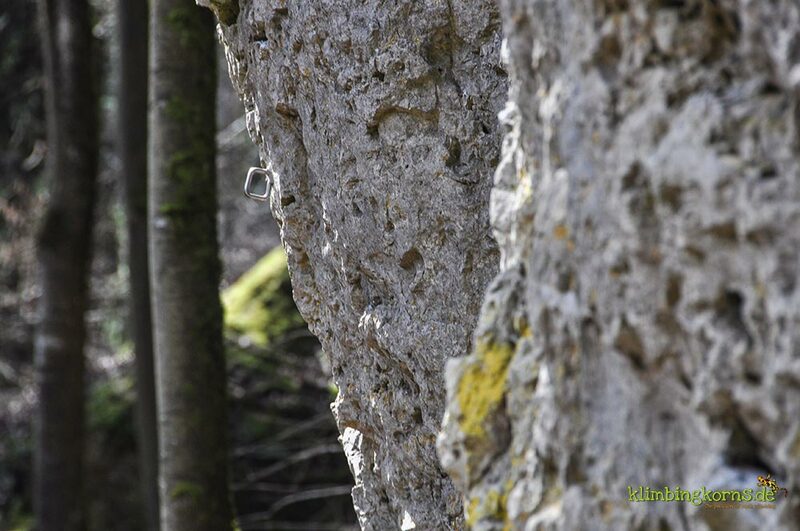 The Jura limestone in Frankenjura is all about pockets and dents. 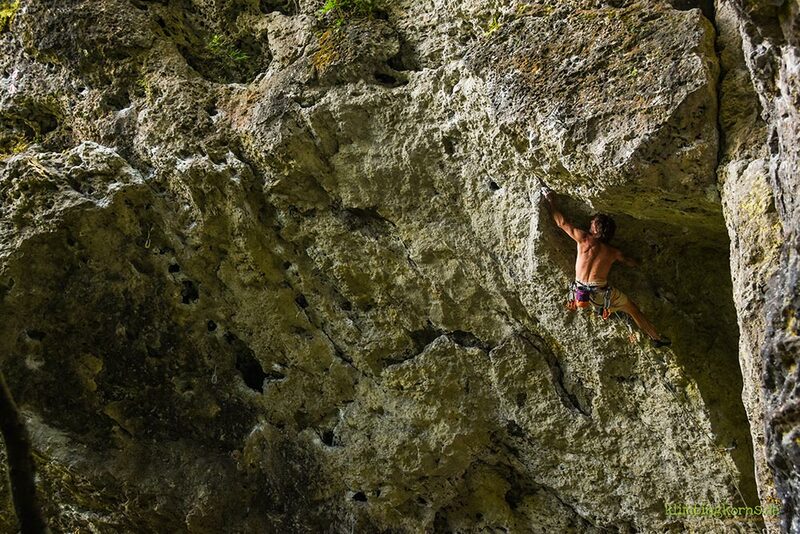 It still surprises me to meet people who comes here who says they loathe climbing on holes. Bürschla, why are you here? 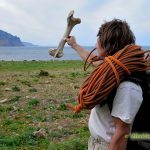 I met a french couple the other day who claimed they chose to climb in Frankenjura in summer instead of their french alps. Now that was extraordinary! 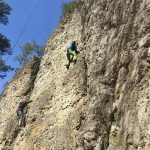 Best season for climbing in Frankenjura is from Spring to Autumn. 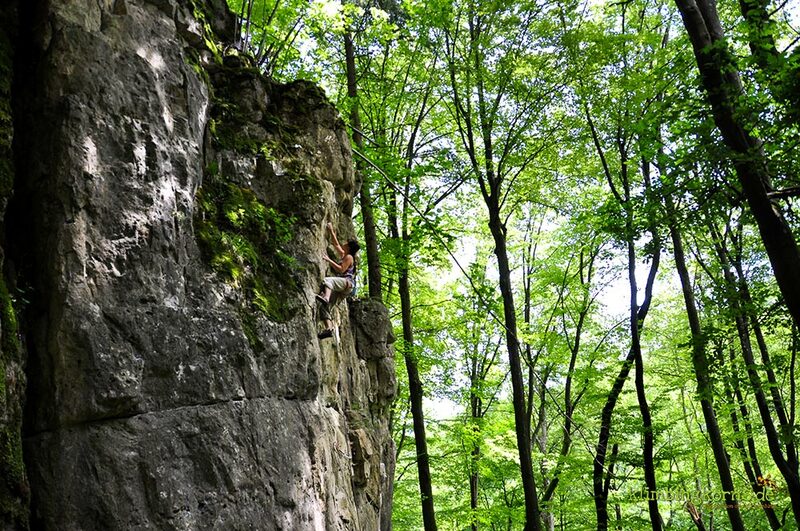 Many of the walls are hidden behind tall luscious greens, making it perfect for hot summer days. It can also get very humid too since the walls are not situated at any high altitudes. In such days, caves or towers on a slope are good options. 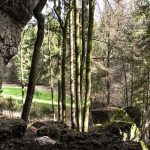 On sunny, winter days hit for tree free walls, far away from hidden walls in caves that seep and stays wet most of the time. You won’t always find ideal conditions. There are long periods of fog and icy cold winds An indoor gym provides often better conditions. Take note on the large amount of walls that are closed during the bird bans. Warm, humid and wet are best conditions for Ticks to thrive in. And there are many in the region. Do take precautions against tick bites. 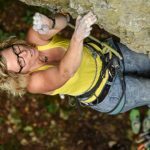 Where to climb in Frankenjura? 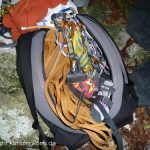 Short, maximal and overhanging, finger pockets or crimps, or long, vertical and alpine? 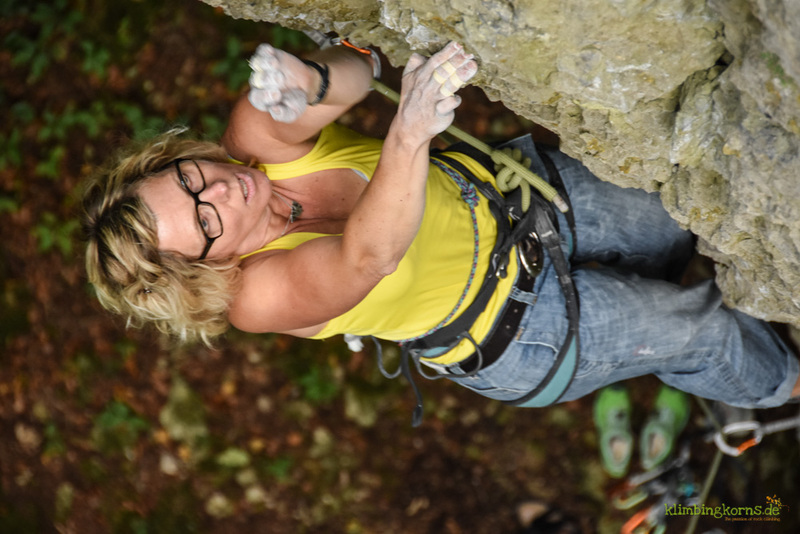 Some claim that climbing in Frankenjura lacks diversity. They probably have not discovered the walls with crimps and ledges yet. 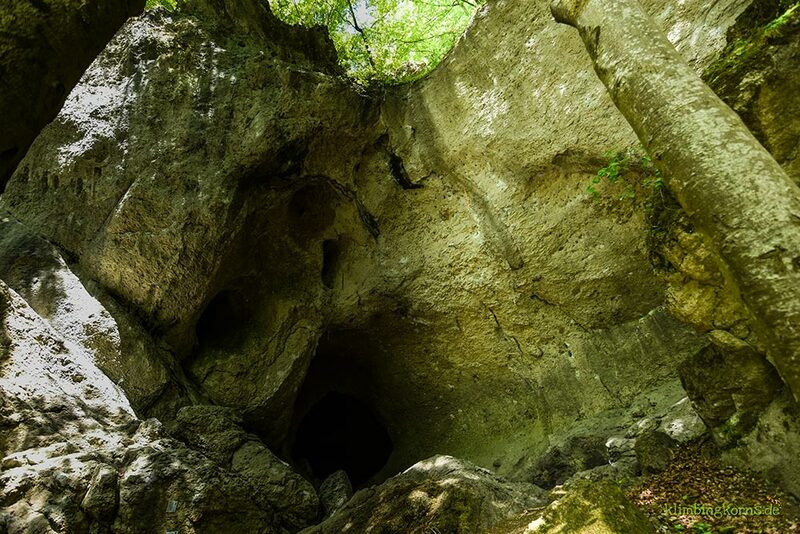 The Frankenjura rocks are basically out of limestone. A few kilometres out of the region and you find yourself surrounded by granite or sandstone. It’s amazing. get a pre-selected recommendation of walls – the Frankenjura Extreme Guidebook shows the most important places you shouldn’t miss on your trip. However, the last edition was published in 2006. Use the new Vertical-life App that features both Frankenjura 1 and 2 guide books from the Panico Verlag. Their “detail” search makes it a whirl to find crags near you, crags in different levels, crags with sun/ shade/protected from rain, etc. (internet connection is necessary) Topos works offline once you have them downloaded (so download first before heading off. Connections don’t often work well in the woods). It’s great if you don’t need to have all the topos at once. Alternatively, you get a free code with the purchase of the printed guidebook to access the topos and travel light without the book. 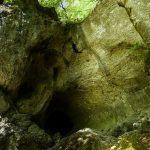 The Frankenjura.com website has become through the years a useful resource. It lists most of the crags with a star rating. It’s huge database gives you nice results of crags you desire. Some topos are free, many of them are only available to members for a fee per year. Works and viewed best on your desktop pc. Forget making copies of the thick guidebook. 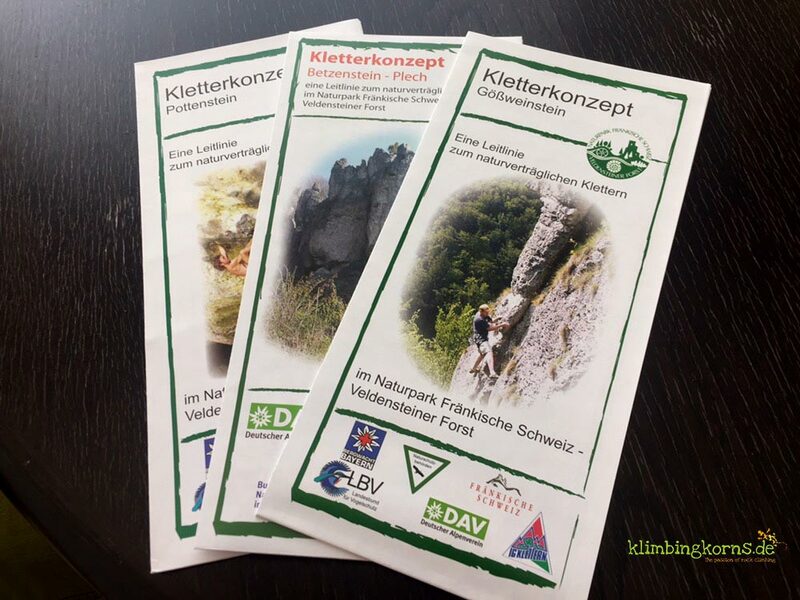 In a matter of time you realise a guidebook or App is the better resource for access and topo documentation. 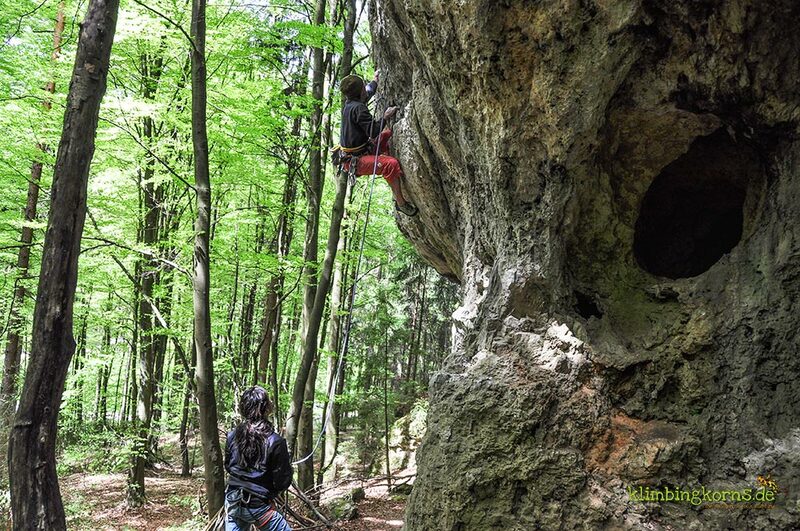 Climbing and respecting the natural environmentt goes hand in hand. 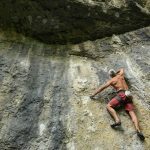 If you are interested to know more about the Climbing Concept for Frankenjura, the Tourist Info hands out brochures and Info packages online. 60 m is just nice in most cases. We usually run around with a 50 m rope but you’ll have to be extremely careful when you change venue as the length of the routes varies. 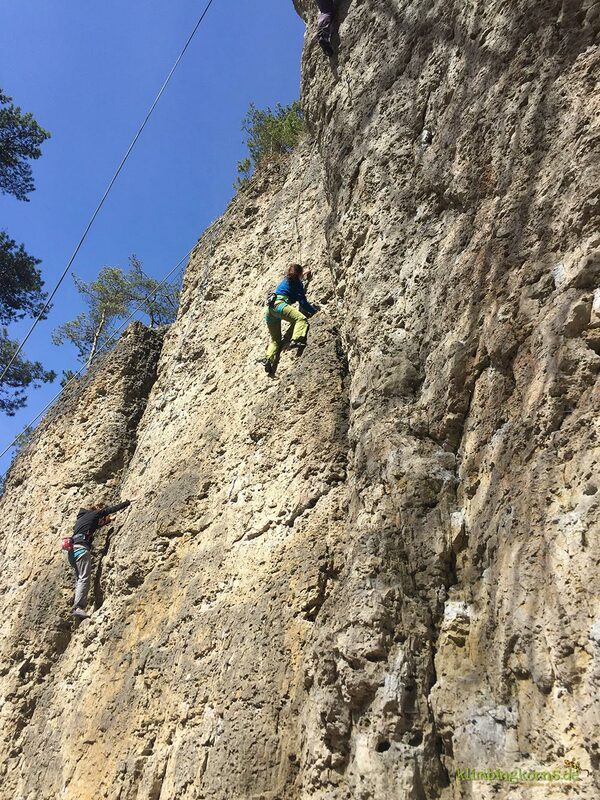 The majority of the walls are mostly between 12 and 22 m.
You can use an 80 m rope at Roterfels, Wolkensteiner, Bandstein, Rolandfels, Dooser Wand or Student, etc. There are usually abseil possibilities in the middle of the route. Prevent accidents by always tieing a knot at the end of the rope. Quickdraws: A set of 10 Quickdraws gets you around (more, if you’re heading for tall cliffs). 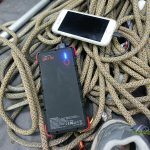 Unfortunately, not all classic routes are always perfectly bolted and often, it is the easier grades that are sparsely bolted. Sometimes with just one or two bolts. One of the harshest critics on Frankenjura is it’s bolting moral. 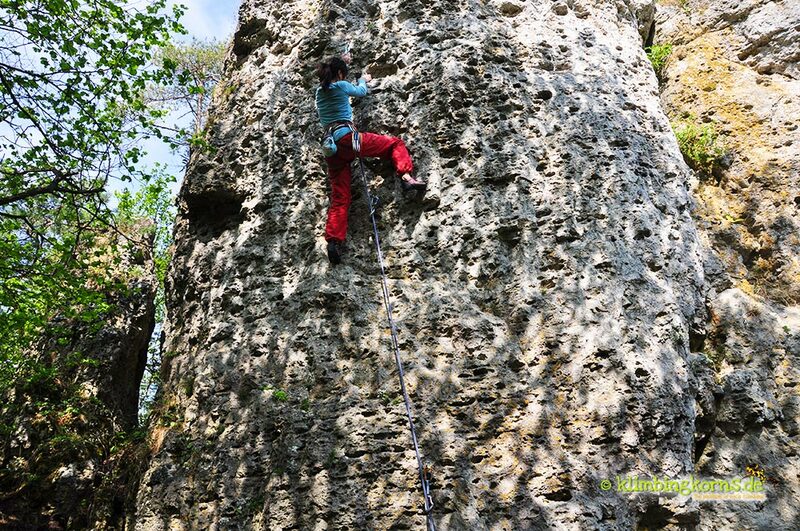 Do take a better glance at a route before you climb. If you’re an expert with nuts and friends or slings, take some along. Alternatively a clipstick is a good helper too. 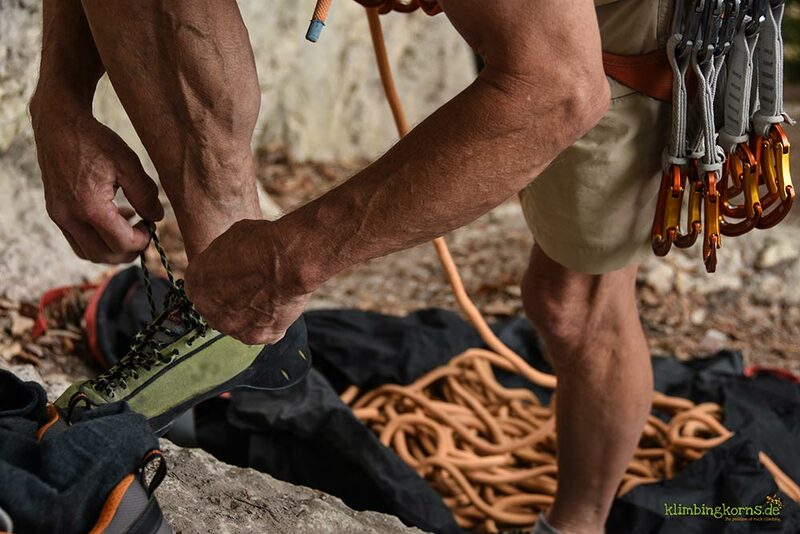 Though bad for the climbing moral, we prefer safety first before a broken ankle. Slings tied to a sandclock hold is a frequent sight. Many of them have been hanging for a number of years and are in bad condition. Slings can break, but also rock and break. Avoid falling in one of them. They don’t always hold a fall well, resulting in some deadly falls. A glue-in Bühler bolt ist often used in Frankenjura. Don’t be surprised if you don’t find any chains at the end of a route. The anchor is usually also just a Bühler, without any redundancy. 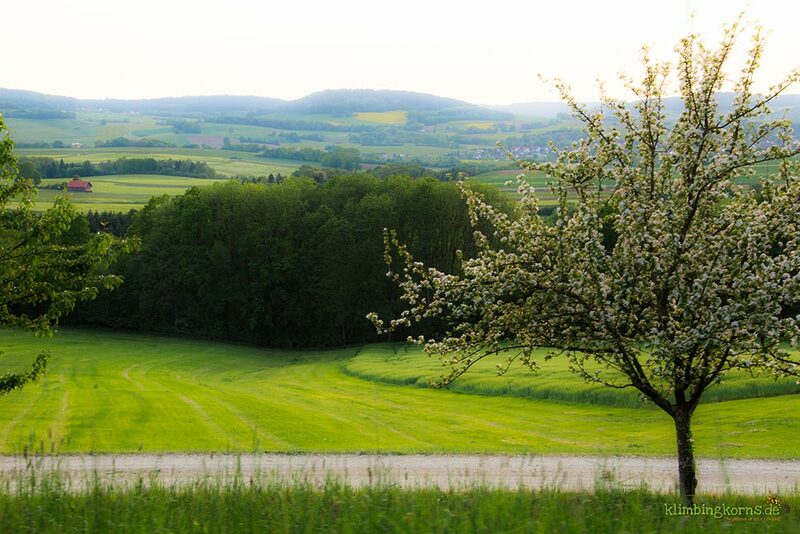 Not only is eating out is a gastronomical experience for your purse, guesthouses in the Fränkische Schweiz is affordable too. For as little as 14 € /Person you could put up in a room. Holiday rental apartments starts from 25 € upwards. The official tourist board lists some of the many accommodations available in the region. Keep a low key and stay out of sight. Be ALWAYS friendly to anyone (farmers, hunters, forester, property owner) who comes your way. Pack and clear up if asked to. 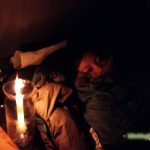 A bivouac is still tolerated from some locals even though it has been officially communicated that wild camping is unwanted. I have also observed a growing habit of camping chairs and tables next to vans while the owners go climbing. Parking lots are no camp grounds. Please refrain from turning it into one. Please take your rubbish along and throw them in the bins. (And not on the road) I was shocked to find big bags of rubbish in the middle of the parking lot of Rolandfels last summer. No fires please! In dry periods (also in winter) a spark, could cause the whole forest to burn in big flames. If you have to do your business, poop in such a manner that no one sees it, smells it, or can step on it. 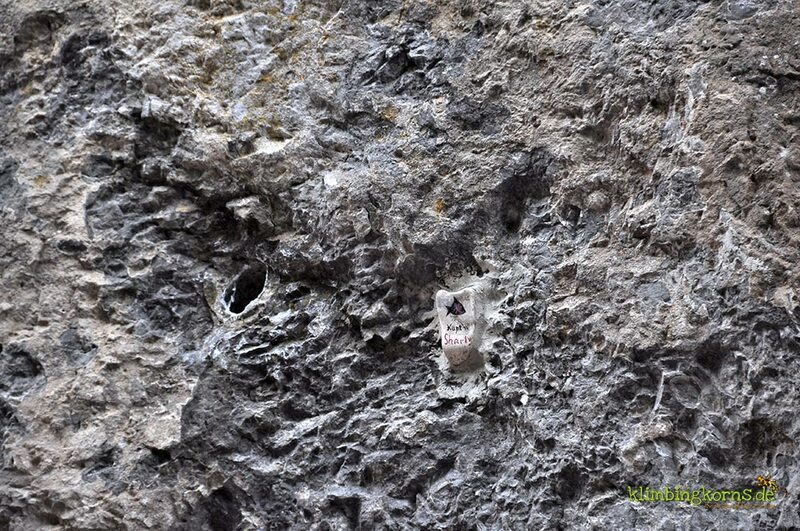 There are more and more mobile toilets in frequented climbing areas. Please use them. Or take a plastic bag along, and dispose this and your toilet paper later in a proper bin. Just like you do it for your doggies. 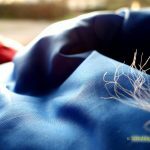 Make your sport sustainable. Leave no trace and stay invisible. You will need a car to get around in the region. 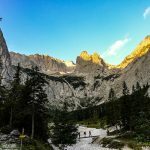 If you are travelling without one, it’s still possible to get to a climbing area, but your choices will be limited to a few valleys. The disadvantage to using the public transport is that these buses aren’t very frequent and your time for climbing will be limited to those times. The next airport is in Nürnberg. From there (the Hauptbahnhof) hop on the next regional bus to Pottenstein / Tuchersfeld. The next bigger Airport is either Munich or Frankfurt. 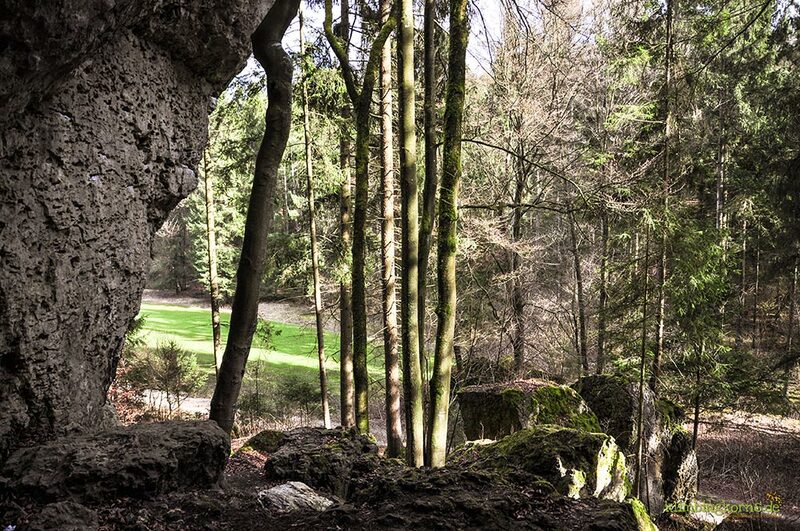 It takes about a 2-2.5 hours drive to get into the Fränkische Schweiz. The best way to start learning any language is over a beer or food. Did you know there’re about more or less 53 german dialects spreaded out in Germany? Since Franken belongs to Bavaria can you not say that the Franke are Bavarians? Theoretically, yes. But don’t ever say that out loud unless you’re a Doldi. Franken is Franken. Hä? The Franke (Frangge) loves cutting a sentence short. The pronunciation for certain alphabets are rounded off with a soft thud, a p becomes a b, a t become a d. The local is also very direct. They speak their minds. If you can’t decide which beer you want or if you start off the order with “a Schnidd”, they’ll leave you to thirst and decide before coming back to your table. Miss mer des Bier doua hulln? Muß man sich das Bier von drinnen holen? Do we have to order the beer inside? Hä? Ich habe Sie leider nicht verstanden. Können Sie es bitte nochmal wiederholen? I beg your pardon? Schnidd Ein Schnitt If you’ve had a few mugs of beer, the Schnitt is (definately) your last glass. Usually, the glass would be served half full, but often, it can be more than that too. Incase you want to see one of the cities, Bamberg is famous for its traditional private breweries with 50 different kinds of beer to try from. 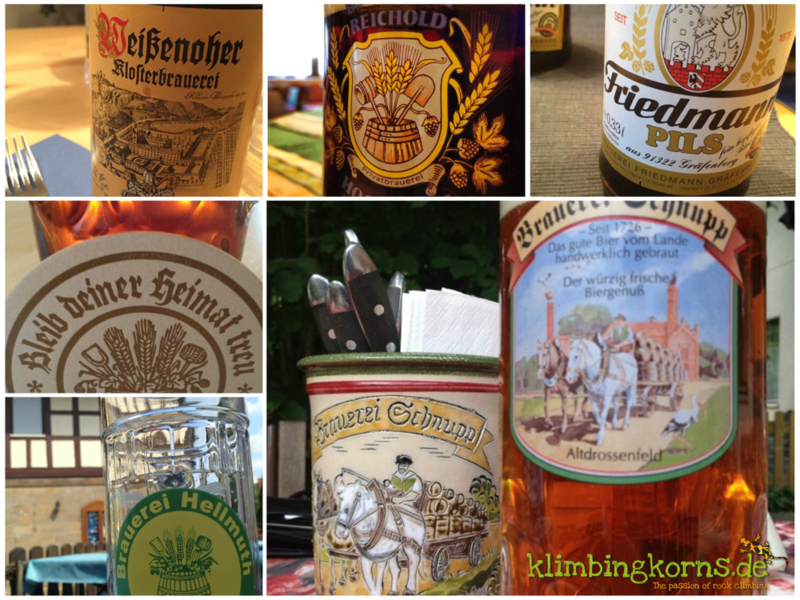 There’s a “BeerSchmecker-Tour” package which you can take to taste all these or go on your own to the different beer cellars. Bamberg is a world heritage with its medivial style lanes and houses, and for all baroque enthusiasts very worth while a visit. Bayreuth is known world-wide for it’s Richard Wagner Festival or the “Festspiele” in August. The most well preserved Baroque Theatre in Europe lays in Bayreuth with the Margravial Opera House. If you want to experience opera pieces of Wagner, try getting tickets well in advance. Black-market tickets can go as expensive as 800 € per Person. Feeling a little more like spendtrift? 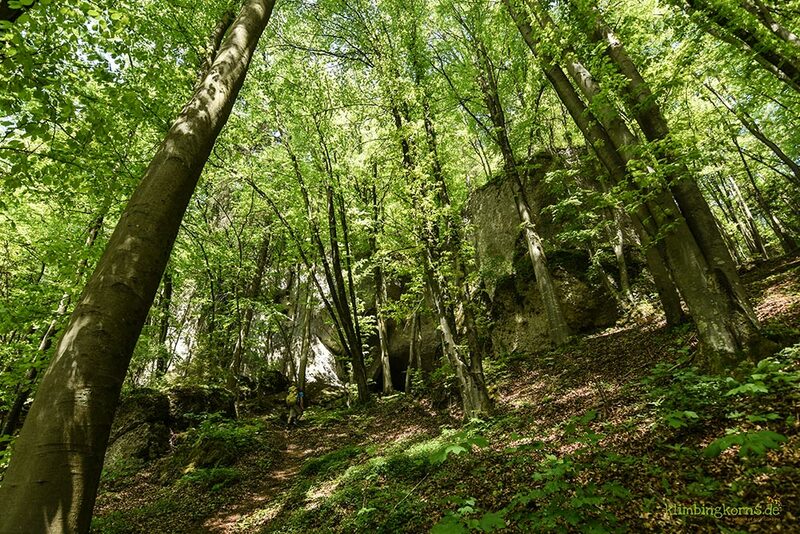 We want that climbing areas in Frankenjura stay sustainable. 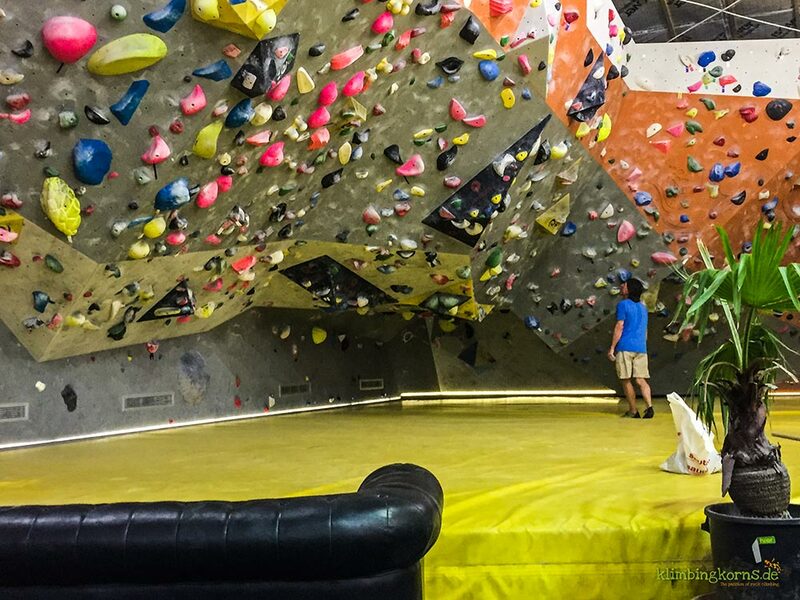 Actually, we want all climbing areas in the world to stay on for a long while. Help keep it beautiful and clean. 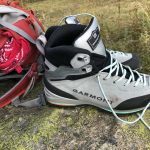 I don’t want to emphasize that climbers are the only ones doing it wrong, Everyone plays a part in the outdoors whether you hike, bike, climb or are just a camper. If you see something where you think you could do good, do it. Finally, two fingers from your ten will be usually used all the time. Choose or alternate them as you go. Have fun! This is a pretty good and authentic guide! I can also recommend the area around “Altmühltal” for hiking, which is close to Ingolstadt and offers some pretty nice spots as well!